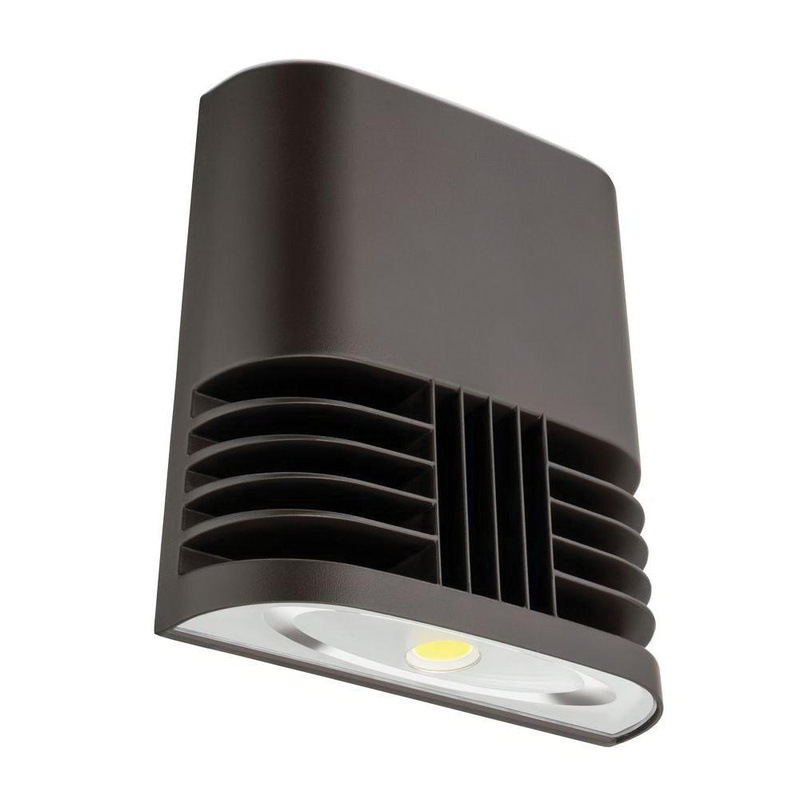 Lithonia Lighting Acuity® Collection Wall luminaire has voltage rating of 120-Volts and current rating of 0.2-Amp at 120-Volts. It supports mounting on 10-ft pole. This 13-Watt cool white LED lamp has color rendering index of greater than 70, color temperature of 4000K and delivers brightness of 1271 Lumens. Integral heat sink provides optimized thermal management through conductive and convective cooling. It features rugged cast aluminum housing with textured dark bronze polyester powder paint finish for lasting durability. Clear glass lens provides protection to LEDs and allows delivering maximum light output. Wall luminaire supports recessed junction box and wall mounting. It measures 7-1/2-Inch x 3-Inch x 8-Inch. This wallpack has a sleek, low-profile design and high output LEDs to provide an energy efficient performance and low maintenance. Explicitly it is suitable for outdoor applications such as building perimeters, loading areas, driveways and sign as well as building flood lighting. Wall luminaire UL listed and meets IESNA standard as well as DLC requirements.